Colder weather means, It’s time to bring out the crock-pot! 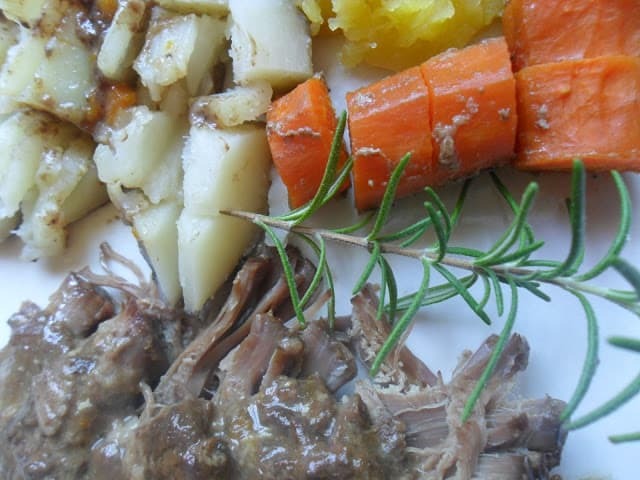 This is by far one of our favorite slow cooker recipes. If I had a dollar for every time I’ve made this recipe over the years, I’d be able to take a nice long vacation. For this recipe, throw everything in your crock-pot. Then head out the door for a day of fun or work. When you get home, dinner will be waiting for you. 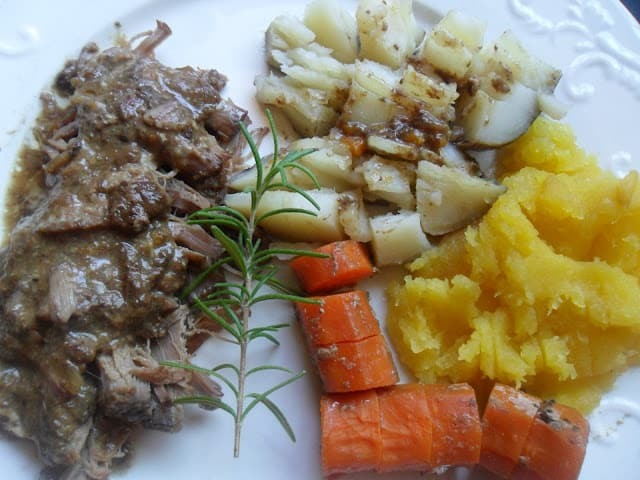 Favorite Slow Cooker Beef and Vegetables is super delicious. For this recipe you can add the vegetables that are your family’s favorites. Since I usually make this recipe in the fall, when the hot and muggy weather of summer is behind us, I like to use vegetables that are in season. Farm market carrots, potatoes, pearl onions, rutabaga, turnips, and squash are the must adds to the crock pot in my family. 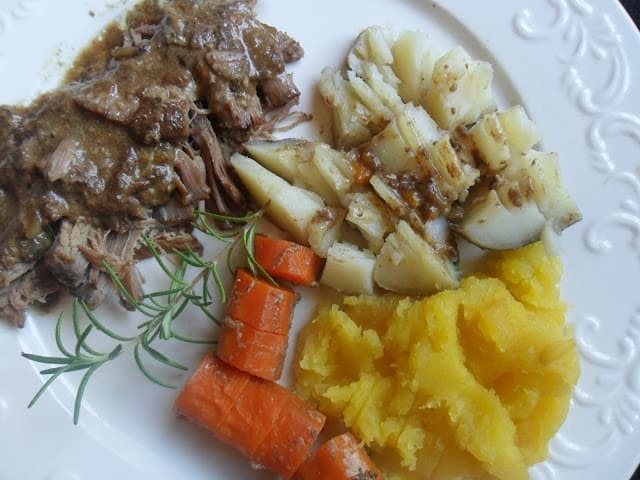 Favorite slow cooker beef and vegetables is comfort food at it’s very best. Looking for something different to make for dinner tonight?? Here are a few of our favorites you might want to try. Al Capone Roast, Tater Tot Casserole, Smoky Gouda Cheese Soup and Classic Oven Beef Stew. A family favorite for many years. Place beef roast in bottom of 5 quart crock pot. Spoon cream of mushroom soup, undiluted, on top of roast, season with pepper. 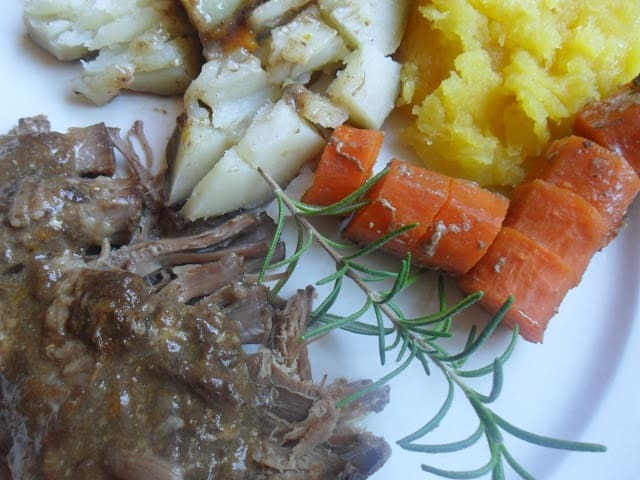 Place carrots, potatoes and squash in crock pot. Cover.